Home » Out! Series » Far Out! Did you know that the European eel can migrate far distances simply from memory? Did you know that chimpanzees can learn sign language? Far Out! 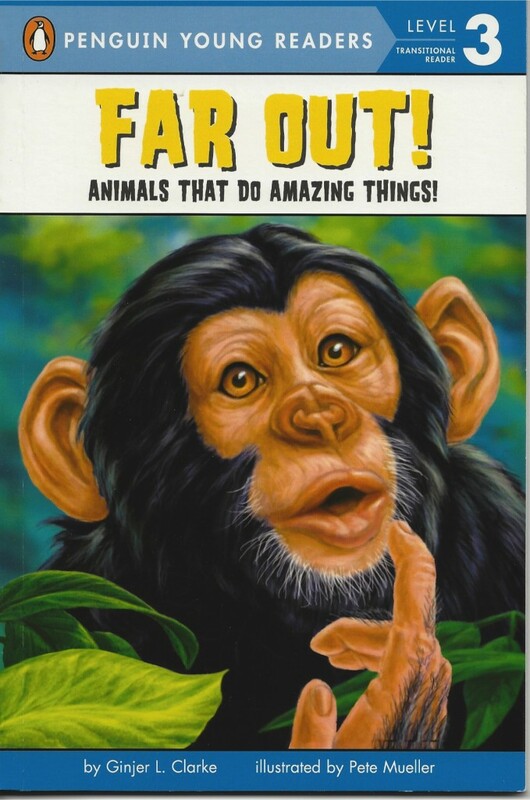 is packed with interesting facts about animals that can do amazing and humanlike things, such as the dolphin, silverback gorilla, Egyptian vulture, and monarch butterfly. I love far out when i read it i thot it was so cool by the way i just think you are so so so so so so so so so so cool Ginger Clark. I thought this was a really cool .You are a very Creative person.Write back soon. I LOVE monkeys and I LOVED this book a whole lot!!!!!! !